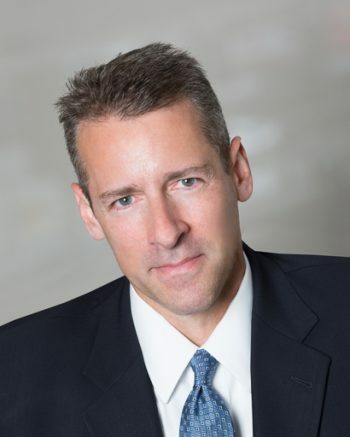 Since joining Kralovec, Jambois & Schwartz in 1997, Craig has consistently obtained significant jury verdicts and settlements for his clients in lawsuits involving medical malpractice, automobile negligence, pharmaceutical mass torts, and other catastrophic injury and wrongful death cases. His record of success includes over $50 million in jury verdicts to date. He has obtained large jury verdicts for his clients in counties throughout northern Illinois. Additionally, Craig has obtained a number of sizable settlements throughout his career. Just recently, Craig was one of a small group of lawyers leading the consolidated Cook County, Illinois pharmaceutical litigation involving the diabetes drug Actos® which resolved for $2.37 billion, one of the largest pharmaceutical settlements ever. In recognition of his long-standing record of success, Craig has earned a number of honors from various local and national peer-organizations. In 2016, Craig was accepted as a Fellow into the prestigious International Academy of Trial Lawyers. Membership in the Academy is limited to 500 U.S. trial lawyers. The standards for admission are high, and include outstanding skills and extensive experience as a trial lawyer as well as unimpeachable personal and professional character. In 2014, Craig was selected as a Fellow of the American Bar Foundation, an honor bestowed upon only those who have shown dedication to the welfare of the community and the highest principles of the legal profession. In 2010, Craig was elected to membership in the American Board of Trial Advocates (ABOTA). Membership in ABOTA is by invitation only. Prospective members must have substantial civil trial experience and must demonstrate the virtues of civility, integrity and professionalism. There are currently only 110 ABOTA members in the state of Illinois. For the past several years, Craig has been an elected member of the Board of Managers of the Illinois Trial Lawyers Association. An unarmed 23-year-old African American man was shot and killed by an off-duty Chicago Police officer at a CTA train station. The officer was trying to break up a fist fight that did not involve the decedent. The officer admitted in his deposition that the shooting was not justified and the case proceeded to trial on damages only after the City of Chicago admitted its liability. Herman Calloway, Jr. v. Bovis Lend Lease, Inc.
A 52-year-old construction laborer was working at the bottom of a 12-foot deep trench installing storm pipes when the trench walls collapsed, burying him beneath a pile of dirt and rock. The trench was not protected from collapse by some form of support system (shoring or trench box). Bovis Lend Lease, the construction manager on the site, was aware that the trench was not protected but allowed the work to continue. The laborer suffered permanent, disabling injuries resulting in chronic pain and an inability to work in any capacity. Daniela Vlahovic v. Catherine Baker, M.D. A 69-year-old woman was seen by her internist on several occasions over a three-month span. During each visit, the patient’s blood pressure was significantly elevated. However, the internist did not diagnose hypertension and did not prescribe any medications to lower her blood pressure. Consequently, the patient suffered a massive hypertensive hemorrhagic stroke which left her permanently disabled requiring 24-hour assistance. A 46-year-old mother of three underwent a neurosurgical procedure to treat an arteriovenous malformation in her left neck. The surgery was uneventful and the patient was doing well in the post-anesthesia care unit. However, the surgeon ordered the patient to be electively intubated to protect her airway. Almost immediately after the anesthesiologist intubated the patient, she developed cardiac arrest and could not be resuscitated. A subsequent chest x-ray showed that the endotracheal tube had been placed into the esophagus, instead of the trachea. A 43-year-old woman developed skin lesions which were biopsied by her dermatologist. The biopsied tissue was sent to a dermatopathologist who rendered a diagnosis of keratoacanthoma (a form of skin cancer). Despite a procedure to remove the skin lesions, the patient’s condition worsened. After several months, it was discovered that the biopsy was misread, and the patient actually had a deep fungal infection. The delay in recognition and treatment of the fungal infection led to spread of the infection to the patient’s spinal column which necessitated multiple surgeries and resulted in permanent disability. James Smola v. Jeffrey Sheedy, D.O. A 46-year-old man underwent surgery to repair a torn distal biceps tendon. During the course of the operation, the surgeon inadvertently transected the patient’s ulnar artery resulting in decreased blood flow to the hand. As a consequence of the arterial injury, the patient developed complex regional pain syndrome and a permanent injury to the median nerve which compromised the function of his hand. A 75-year-old woman with a long history of glaucoma underwent a new procedure known as endoscopic cyclophotocoagulation (ECP) designed to reduce the amount of fluid produced in the eye which would then lower the intraocular pressure. With the final incision of the operation, the patient suffered a catastrophic hemorrhage which resulted in total and permanent blindness in the eye. Estate of Merle Bray v. Patrick Murphy, M.D., et al. An 82-year-old man was being evaluated in the hospital for a possible cardiac condition. While a series of cardiac tests were being completed, he was placed on IV Heparin. The Heparin was continued even though the cardiac tests came back normal and despite the fact that the drug was interfering with the normal clotting of his blood. The patient developed internal bleeding from coagulopathy which resulted in multiple organ failure and death. A 64-year-old lifelong smoker underwent a routine chest x-ray in advance of cataract surgery. The chest x-ray showed an abnormal nodule in her left lung, however, the patient’s physicians failed to timely follow-up on the abnormal finding for 14 months. Ultimately, the patient was diagnosed with Stage 3 lung cancer but the delay in diagnosis led to her death.